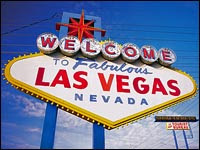 WELCOME TO MY MONEY MISSION ONLINE: I'M GOING TO LAS VEGAS! I'M GOING TO LAS VEGAS! Definitely check her out! I am following her blog and am her newest fan! So, to copy her words, "au revoir" for now! I worship Jules, too. She has great posts and has a wonderful sense of humor. And I'm so glad that I found your blog. Nothing makes me happier than to find a new frugal friend. I know I'm turning into a pain but I checked out your photo album and its wonderful. Make sure that you tell Jules.